Have you had enough of winter yet? As has been trending, kill winter with orange seems appropriate, and there is no shortage of orange inks over here. 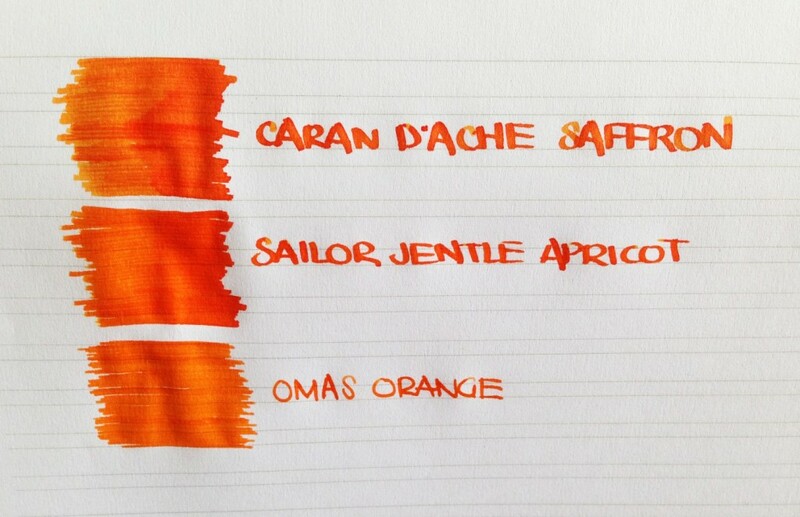 Unfortunately, most of my favorites are discontinued – Caran d’Ache Saffron and Sailor Jentle Apricot, and OMAS Orange, which is an exclusive one to get. You know, I think this must be why orange is a thing for me now. It’s the perfect sunny summer-y color.